NEW HAVEN, Conn. — William A. Smalley, who used the English alphabet to help develop a writing system for the Hmong people, who were driven from China in the 1800s, has died. He was 74. Smalley, a former professor at Bethel College in St. Paul, Minn., died Tuesday at the Hospital of St. Raphael after suffering a heart attack. In the 1950s, Smalley was one of three men who created a writing system for Hmong using the 26 letters in the English alphabet. It is still the most widely used system for writing in the Hmong language, and it can be read everywhere from Hmong newspapers to Web pages. The Hmong people were pushed from China in the 1800s, trekking south to the mountains of Laos, Thailand, Cambodia and Vietnam. The Hmong lived peacefully in the forests of China for thousands of years until the 19th century, when rulers launched a campaign of persecution to extinguish the Hmong language. Many tried to preserve it by writing it on “pa ndau,” or quilts, which became documentation. Smalley was born in Jerusalem on April 4, 1923. He graduated from Houghton College in Houghton, N.Y. in 1945. He received his doctorate in anthropological linguistics from Columbia University in 1955. 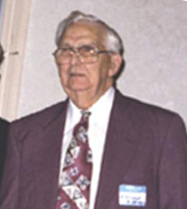 He worked for the American Bible Society in many parts of the world for eight years, starting in 1954, later moving to Thailand to serve with the United Bible Societies. He became a teacher at Bethel College in 1978, retiring 10 years later after winning the school’s distinguished teaching award. He moved to Connecticut to be closer to his children, and after his retirement, had focused his writings on holistic approaches to missions and promoting social justice. Survivors include his wife, Jane; two sons; a daughter; and a sister. A memorial service will be held at 2 p.m. Saturday at the First Presbyterian Church in New Haven. Community, in Fort Myers, Fla. He was 79. Lin was born in 1923 in Rumney, N.H. He received a bachelor’s degree from Taylor University, was a graduate of the Missionary Training Institute (now Nyack College, Nyack, N.Y.) and received master’s and doctorate degrees in anthropology from the University of Minnesota. In 1946 Lin married Elsie, whom he met while at Taylor. After spending a year at Nyack, two summers at the Summer Institute of Linguistics and two years at the Union Church (Palisade, N.J.), Lin and Elsie went to Laos as missionaries to the Hmong people. During this time, Lin worked on reducing the Hmong language to written form. Other missionaries helped with the project, and today the Hmong have the Word of God. In 1954, Lin taught missions at St. Paul Bible Institute (now Crown College, St. Bonifacius, Minn.). In 1960, along with Dr. Jack Shepherd, Lin established the Jaffray School of Missions in Nyack, N.Y. He remained in Nyack for 28 years as the school went through various transitions, and became Alliance Theological Seminary (ATS). Lin was dean of faculty at the Seminary when he retired in 1988 and moved to Florida. Lin is survived by his wife; two daughters, Linda and Karen; three granddaughters and five great-grandchildren. A memorial service was held November 15 at The Village Church at Shell Point Retirement Community. Rev. Kenneth P. Nesselroade, Rev. Scott M. Bartholomew and Dr. James A. Davey assisted in the service. A second service was held December 5 in the chapel at ATS. Dr. R. Bryan Widbin officiated. The burial was at Oak Hill Cemetery in Nyack. The life of Dr. G. Linwood Barney, co-founder and Dean Emeritus of Alliance Theological Seminary will be honored on Friday, December 5 at 3:30 p.m. in the ATS Chapel on the Upper Nyack campus. All who knew or worked with Dr. Barney are encouraged to attend. Alliance Theological Seminary, formerly known as the Jaffrey School of Missions was founded in 1960 by Dr. Barney and Jack Shepherd, a missionary to West China and the Philippines. In 1974 it was renamed the Alliance School of Theology and Missions. When the Master of Divinity program was added in 1979, Alliance School of Theology and Missions became Alliance Theological Seminary. In addition to being a Professor of Anthropology for 25 years and fulfilling his life-long passion of training missionaries, Dr. Barney’s contributions to ATS seem endless. His invaluable service to the seminary includes thirteen years as Dean of Students, nine years as Dean of Faculty, and eight years as Director of Studies. Dr. Barney has long been esteemed a statesman of Christ’s church in our nation and abroad. Mrs. Elsie Barney and the family request that memorial contributions be made to the G. Linwood Barney Scholarship Fund at ATS in lieu of flowers.